No fun if you’re under 21? Not anymore! 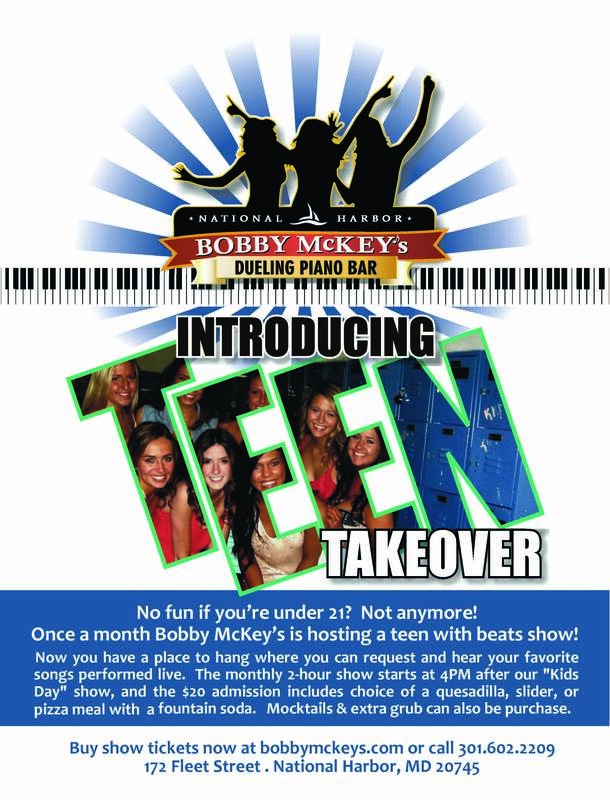 Bobby McKey’s is opening their doors once a month for a teens with beats show! They give your teenagers a place to hang while enjoying all of their favorite song requests performed live! This monthly 2 hour show will kick off at 4PM (doors 3:30pm) and end at 6PM. Ticket price of $20 will also include lunch buffet plus non-alcoholic beverages. Bar will be open for parents and guests 21 and over with proof of ID.